When I was contacted by New Look to write a post about my favourite dress I thought this was such a great idea! Little did I realise it’s actually really tough trying to chose my favourite dress out of my wardrobe! 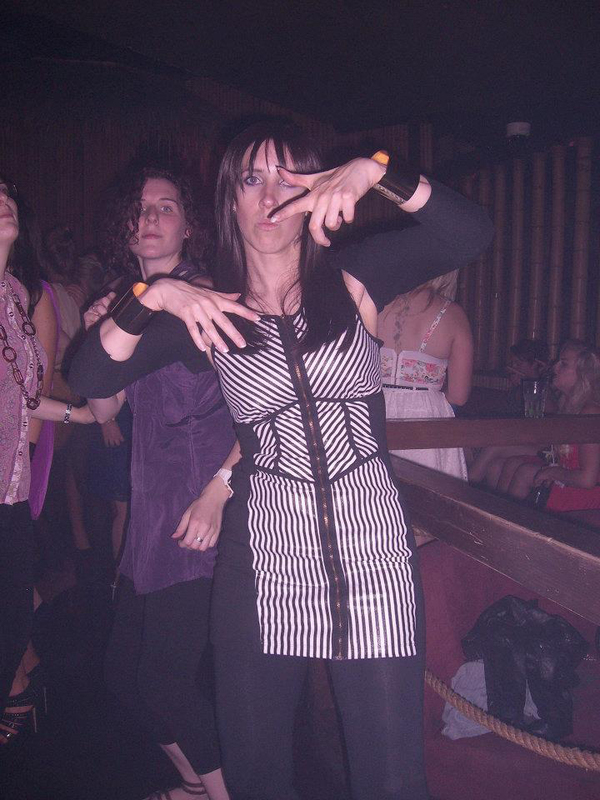 In the end I came to the decision that my favourite dress is my River Island black and white striped fitted dress. This is an awesome fitted dress, with black and white striped panels, and an exposed gold zip down the front. It was a complete bargain a few years ago from ebay. I started losing weight after my son was born and to motivate myself I bought some new, smaller clothes. I bought this size 10 dress for a fabulous £4 (plus P&P obv) with the hope that I would one day get into it. I then lost 4.5 stones and it fitted me like a glove. I felt amazing. I remember feeling awesome, invincible and just on top of the world that I got into this dress. I even wore heels for the whole night out, which is a real achievement for me – I always avoid heels because they make my feet hurt after about 5 minutes. I guess I had less weight on them then. I wore my heels and danced all night 🙂 Though I feel happy remembering these memories, this feeling is also tinged with sadness as I have since put all the weight back on, and more. I originally put a bit of weight on, then lost it for my wedding last September, and now I’ve put it on again, but this time I’ve put so much on I’m bigger than I ever was before. (sad face) On the plus side, this picture has really motivated me and I have now started eating more healthily, and cutting out the junk, so I’m on the right road to losing the weight (again) – hopefully I’ll keep it off this time! In the mean time New Look have sent me this lovely floral panel dress – which does fit me! It’s so pretty and perfect for spring! I’m a complete sucker for pastels so this is right up my street 🙂 Unfortunately I didn’t have anyone around to photograph me in it, so I thought I’d put a look together on the lounge carpet (sorry the carpet looks grubby, it is cream, honest!) This dress has a flared skirt, which is the perfect shape for me as I have fairly wide hips. It also has a pretty detachable necklace. My outfit consists of the New Look Parisian Pink Embellished Floral Panel Dress, Next Patent Sandals, Nasty Gal Studded Bag, MAC Lady Gaga Lipstick, a selection of Barry M Nail Polishes, Jean Paul Gaultier Classique Summer Fragrance, and Chanel Vitalumiere foundation in Clair.